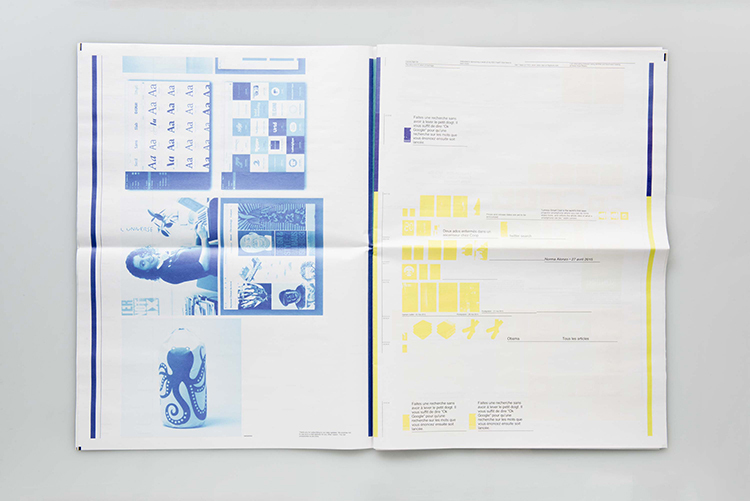 With the London Design Festival in full swing, we've rounded up 10 of the most ingeniously designed newspapers we've printed. From flowers that won't wilt to a shoe-drying kit – these are the projects that made us rethink what a newspaper can be. 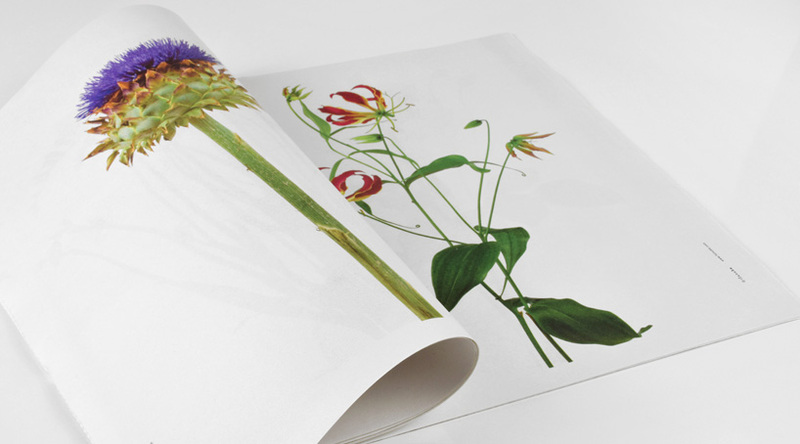 A month's worth of freshly printed flowers – just roll up a different page of the newspaper every day. No watering required. You might think twice about your internet habits if you confronted them in print. That's the idea behind HTTPrint, a Google Chrome extension developed by ECAL graduate Pillet in collaboration with Thierry Treyer. 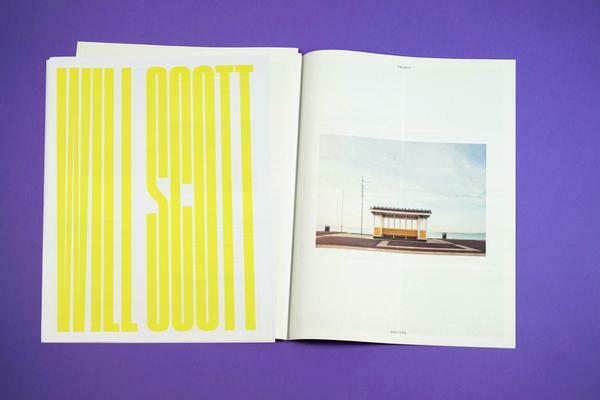 The plugin extracts images and metadata from the websites you visit and, using a script that builds representations of that data, creates a visually-striking PDF that you can print directly from your browser – or turn into a newspaper, as Pillet did. We teamed up with cycling brand Vulpine (and some wonderful designers) to put a digital turn on an age-old solution to wet shoes. 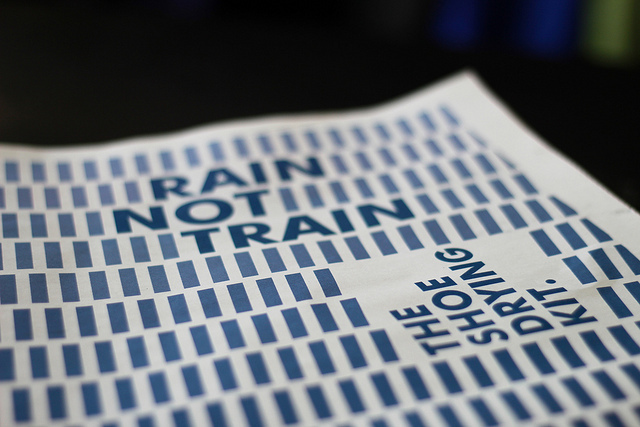 Rain Not Train is a newspaper designed specifically as a shoe drying kit, filled with illustrations and words about cycling and the rain (and cycling in the rain). After you've read the newspaper, you can scrunch it up to create a timeless safeguard against damp feet. When branding experts &SMITH redesigned the YO! Sushi menus in April 2016, they took inspiration from Japan's manga comics. 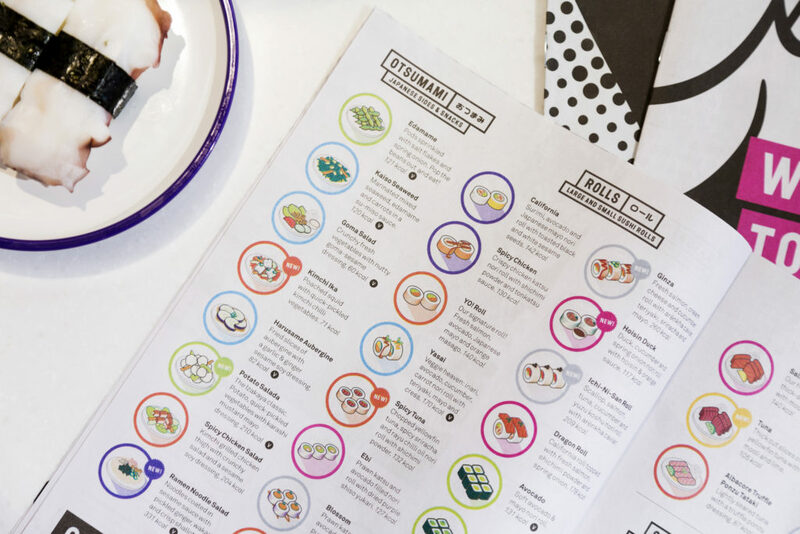 They created a series of 4 graphic covers and added Kanji script to the menu alongside illustrations of new dishes, plus snippets of Tokyo-focused art and culture writing – all laid out in a neat mini newspaper that customers could take home after the meal. 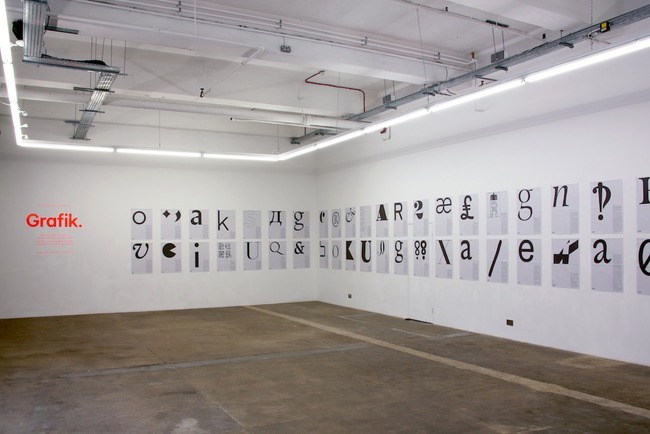 To celebrate the launch of their new online home, design publication Grafik Magazine hosted an exhibition of highlights from their impressive Letterform Archive. They printed a series of beautiful newspaper posters to tell the stories behind famous (and not so famous) fonts. 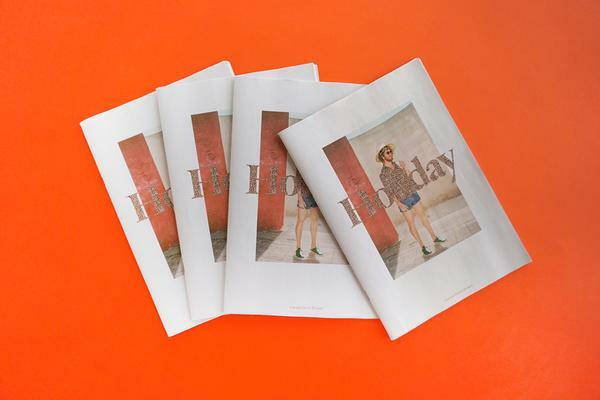 With a bit of ingenuity and a lot of hard work, UnderConsideration transformed a humble traditional mini newspaper, featuring the best bits from UnderConsideration’s network of blogs, into a limited-edition delight for print lovers. Each newspaper came wrapped in a discarded makeready or test sheet reclaimed from a printer, then carefully trimmed. 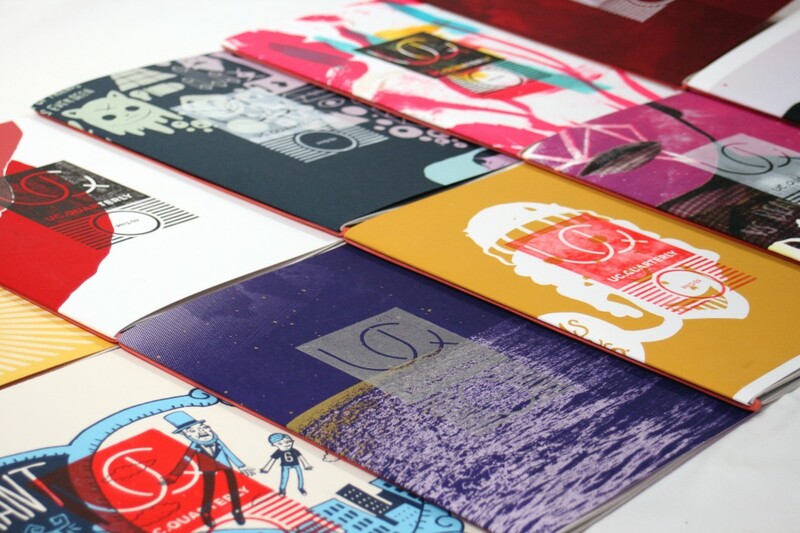 The covers were then hand-stamped and wrapped with another design classic – a red rubber band. "The quality of paper was so important to me," she told us. 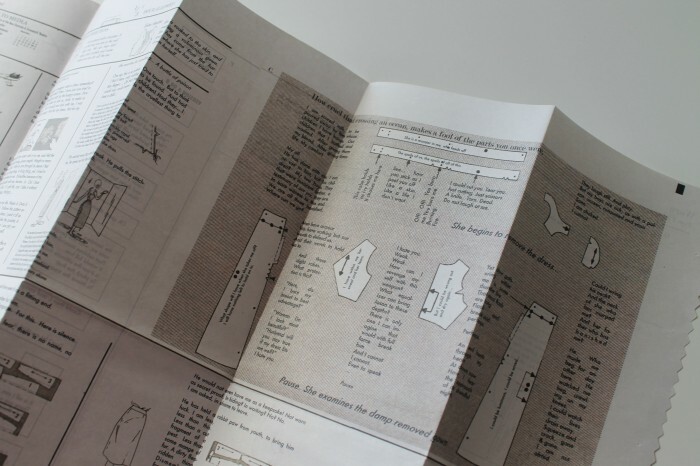 "I wanted to create a space for the play text that would use the performative quality of paper and also exploit the intimate encounter of the book as an object." Medea/Worn was our Newspaper of the Month for October 2014. To support Mental Health Awareness Week, illustrator Jamie Kirk created Washed Out, a zine designed to be coloured in while encouraging readers to “explore creativity and eliminate stress.” Kirk joined forced with contributors from around the world, including French illustrator Jean Jullien, Spanish illustrators Brosmind and Portland-based artist Sam Larson. Tasked with branding a typography-themed restaurant, design student McArthur decided to play on the relationship between foodmaking and printmaking. "Cooking and early ‘hot type’ are both hands-on activities," she explains. She created a newsprint menu for fictional restaurant The Dab Hand, a place where "the crafts of cooking and typography converge." In a clever design twist, McArthur stitched the newspaper to tear into two parts, evoking the preparation and consumption of food. "Can paper solve the music industry?" asked Chart Attack when The Famines put out their newsprint single last year. Pressing vinyl is expensive and time-consuming, so The Famines turned to newsprint to release their two new songs. 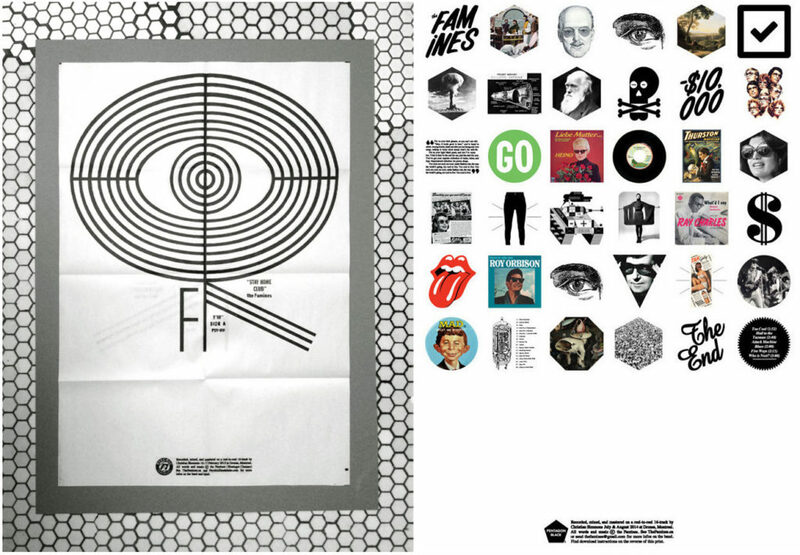 They called it a "paper LP" – a 20" x 30" double-sided newsprint poster, designed by illustrator and Famines frontman Raymond Biesinger, with instructions to download the tracks. "We're the right band to experiment with the format," Biesinger explains. "To combine the visual/paper with the digital/music and make a very unique object that’s printable in small runs, inexpensive, impressive, cheap to mail and can hold the information (ie. URL/code infos) for an online download." He was right – the paper single was a hit and The Famines followed it up with newsprint compilation, Pentagon Black Compilation #1, in February 2016. 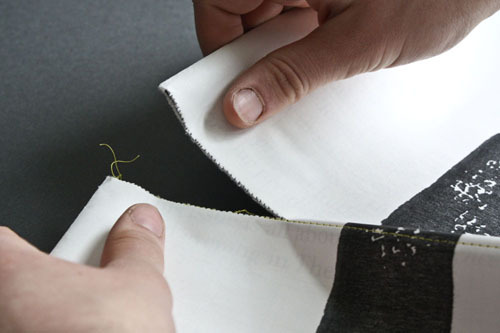 Do you have an ingenious use for newsprint? 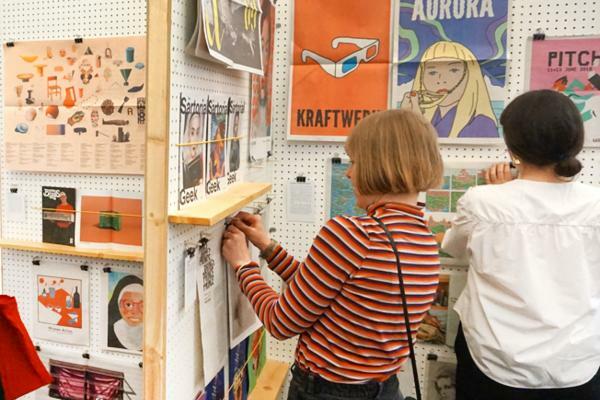 Order some free sample newspapers and get designing.